The Gay Street District was one of the early areas of downtown Columbus to experience a dining and entertainment renaissance in recent years. The district plays host to a growing number of restaurants, as well as the Sunlight and Moonlight Markets and other events. Here’s your handy guide for coffee, lunch, dinner or drinks! Tip Top specializes in Ohio comfort foods paired with craft beer and cocktails. 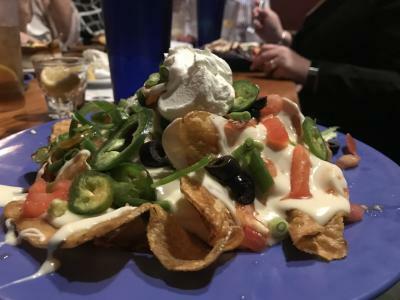 Decorated with nods to Columbus history, it’s a cozy spot for meatloaf, pot roast sandwiches, creamy mac and cheese and big plates of nachos. Due Amici is an elegant but approachable spot for modern Italian dishes. 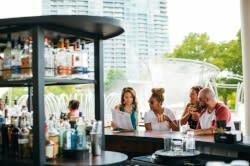 Sneak in early for happy hour specials at the bar, from glasses of wine to creative cocktails, or come back for weekend brunch! Serving up classic Cuban fare, Plantain Cafe specializes in dishes like picadillo, ropa vieja, tilapia, shredded pork, Cuban sandwiches and more. One of the city’s longest-running coffee roasters, Brioso serves espresso drinks, pour overs, iced coffee and more. Order their signature Ohio maple latte, pick up a house-baked scone or stay for a lunch of soup and sandwiches. Tucked in the beautiful lobby of the Residence Inn (itself housed in a renovated bank building,) the spacious and elegant Buckeye Bourbon House features an extensive whiskey collection, creative cocktails, craft beers and bar bites like candied bacon and bourbon roasted peanuts. Stick around for Sunday night trivia or live music every Wednesday. The newcomer to Gay Street, Veritas just made the transition from Delaware to downtown Columbus. Guests can enjoy the beautifully crafted dishes like sous vide Brussels sprouts or bacon risotto to go with house cocktails. Better yet - make a reservation and experience the chef’s tasting menu. This bistro offers a modern take on Asian cuisine, featuring dishes like customizable rice bowls, zesty ramen, spicy wings and bao steamed buns. Stay for a bubble milk tea, a fresh fruit cooler or a matcha latte. You’ll find good drinks, hearty food and warm camaraderie at this Irish pub. Enjoy live music while you kick back with a stout and enjoy their bangers and mash, corned beef and cabbage, fish and chips, cottage pie and other Irish classics. Latitude 41 is situated on the ground floor of the Renaissance Hotel, and serves breakfast, lunch and dinner to the public. 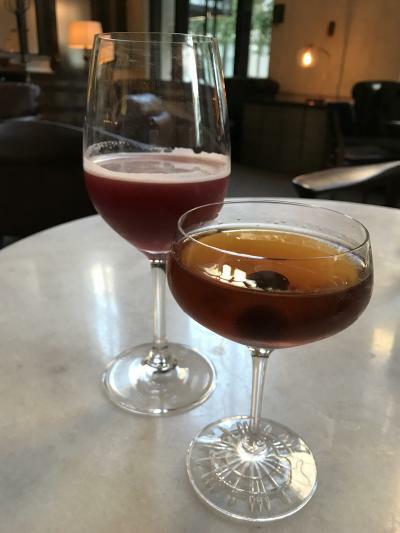 Cozy up at the bar for drinks, or stay for creative pizzas, charcuterie plates and specialties like Faroe Island salmon, roasted Amish chicken, pappardelle pasta and hanger steak. Located in the center of the district, Cafe Phenix serves coffee, tea, baked goods made in-house, as well as hearty soups and sandwiches. 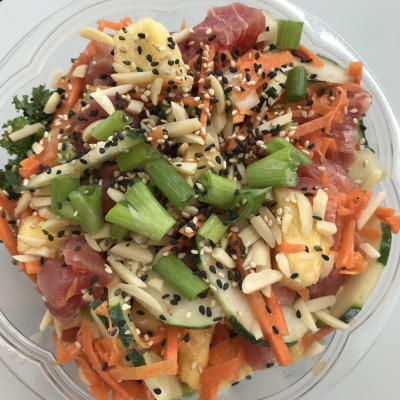 From their little carryout storefront, Poké Bros focuses on the Hawaiian staple poke, a raw fish salad loaded with veggies and spices that you can customize to your own taste. The second location of this Clintonville beer and burger spot arrived recently on Gay Street. 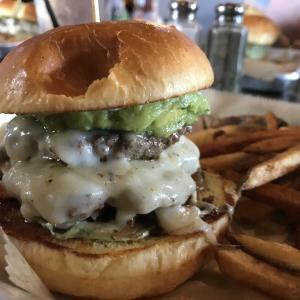 The cozy tavern digs are the ideal spot to sip on craft beers and enjoy sandwiches, wood-fired pizzas and their hand-pattied smashburgers.